At Anime Expo today, Funimation announced many new acquisitions for their DVD and Simulcast releases. Here is brief list of what they announced. Moyashimon – Live Action. Premieres Thursday July 8th. Shiki – Premieres Thursday July 8th. The Trigun movie is also being US premiered here at Anime Expo on Saturday July 3rd at 4pm. Trigun producer Shigeru Kitayama will be on hand with special prizes for a limited amount of attendees! That is all the big announcements. Very exciting stuff coming from Funimation. More on impressions from this panel later. So I promised an update with my impressions of the Funimation panel in general, and I must say overall I am very pleased. Funimation had a strong showing tonight not only with the above announcements, but also with their enthusiasm and willingness to listen to their fans. Marketing Manager Adam Sheehan, who hosted the panel, said it best with “We want to talk with you, not at you,” and Funimation has been doing just that. He put a strong emphasis on Funimation’s use of social networking sites like Twitter, Facebook and YouTube and on how the use of these sites have made the anime industry stronger. Another point that made me particularly happy was that he assured everyone that Funimation will not stop dubbing their anime and showed some numbers backing up the fact that more anime fans watch dubbed anime than subtitled. 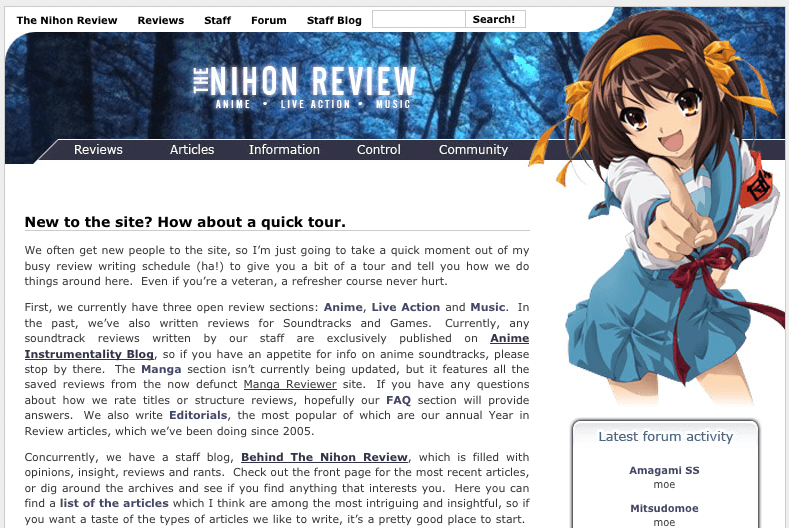 He touched briefly on the anti-piracy actions Funimation is taking before delving into their simulcasting information. 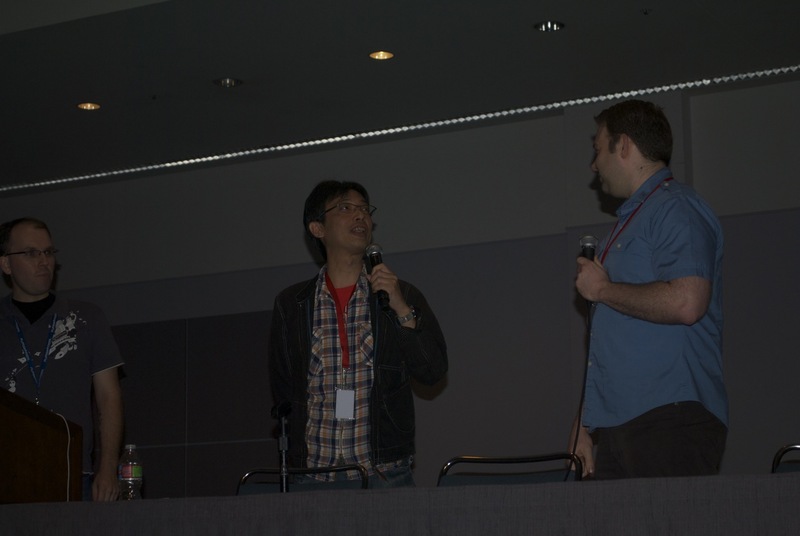 He also thanked all the fans for their support of free legal anime streaming. After that they showed trailers for their upcoming DVD releases My Bride is a Mermaid, Master of Martial Hearts, Casshern Sins, Corpse Princess, Hetalia: Axis Powers, and of course Eden of the East all of which are releasing between now and September. These shows looked to be top quality and a few of them are being released on both DVD and Blu-Ray. Sheehan also made mention that anime fans seem to be more active buyers of the Blu-ray format than other consumers. 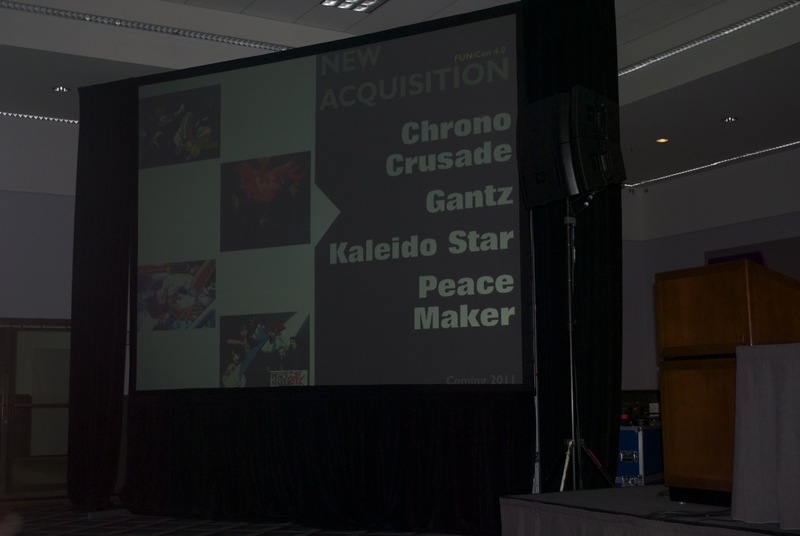 Of course the biggest news of the night were obviously all the acquisition announcements. Bringing back awesome out of print Geneon shows like Ai Yori Aoshi and Lain shows that Funimation knows how to please their fan base. 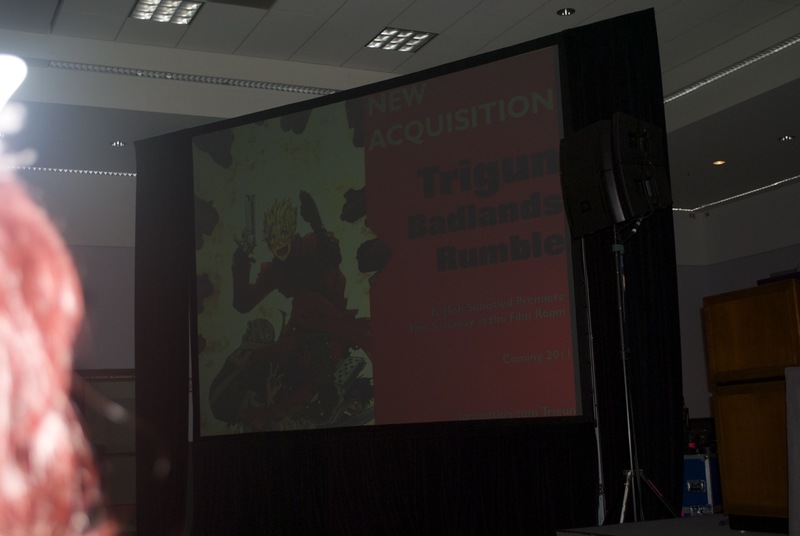 Some new acquisitions were nice surprises (Shana and Toaru Majutsu no Railgun & Index) while others were obvious (Black Lagoon Season 3), but the biggest surprise was the Trigun: Badlands Rumble announcement. I thought for sure when a Vash the Stampede cosplayer showed up during the panel with a special announcement, it would be that Funimation had got the rights to re-release the Trigun TV series (which would be nice as I have yet to own it and it’s one of my favorite shows) but still the announcement of the movie’s release and its premiere at Expo on July 3rd had people cheering for the “Love and Peace” anime. 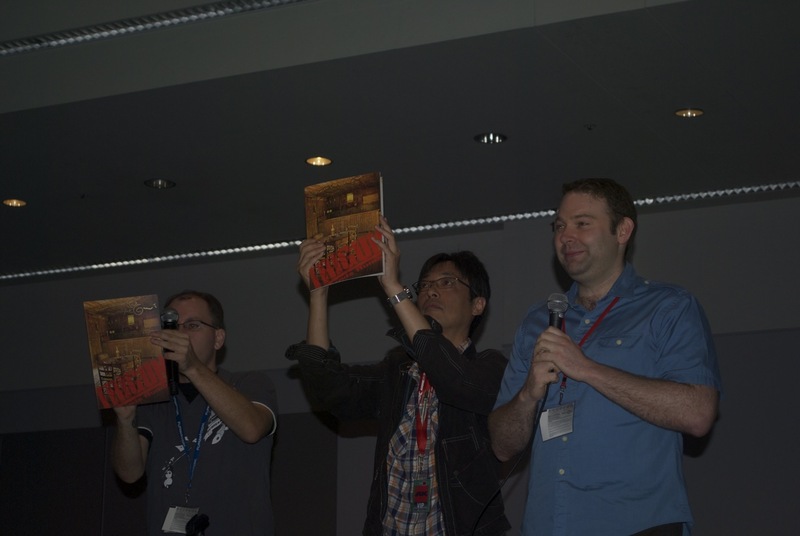 As an added bonus, Producer Shigeru Kitayama will be on hand at the event with prizes for some lucky attendees. So yeah, final impression of the panel, a big thumbs up. Nice work Funimation.